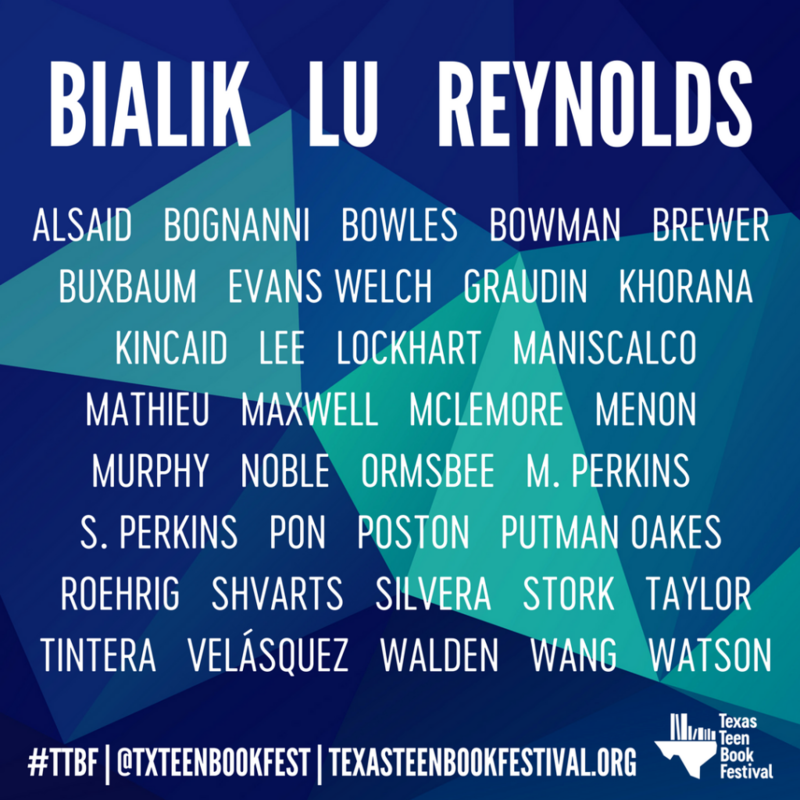 I’m thrilled and honored to be a part of the line-up for the 2017 Texas Teen Book Festival. A huge abrazote to Sarah Rafael García and Barrio Writers for being so incredible in their support, as well as everyone over at Cinco Puntos Press. Below is an image with the last names of all the featured authors. You can learn more over at the Texas Teen Book Festival’s website.